I feel like that bad person, in a story of my own. I don’t know if I’m paranoid, but I feel a lot of pain, whenever anyone or anything reminds me of it, or maybe it was the cheese in the pizza I ate this morning. True! Bad dreams never leave us. Only good ones do! 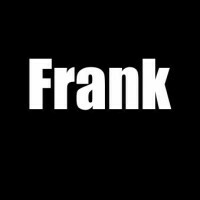 Beautifully expressed ,Frank! Hi Frank, you start your strong verse with ” You pull me down, you leave a scar”. Now, that sounds unloving to me. I now wait eagerly for a happy one where you pull each other up. 🌈 . She’ll always be there. There is no escape. Your star has gone supernova. You may be consumed.